Bemutatunk egy híres embert. Te ismered őt? Üdv Nektek az Angoljegyzet Monthly hatodik számának megjelenése alkalmából! Na de fontos ez? Nem fontos. Mi a fontos? Az a fontos, hogy angolozzunk ebben a hónapban is, mert ugye nagyon EU tagok vagyunk, csak hát az a fránya angol, azt ne kéne tanulni... mondhatnánk, ha lusták lennénk, de nem vagyunk, és áprilisban is annyi filmet nézünk angolul, amennyit csak lehet. Kedvenc sorozat? Mi itt a szerkesztőségben nagy sorozatfüggők vagyunk, nézünk vagy 30 félét (persze nem letöltjük, hanem megvesszük, ahogy illik:), és azt kell, hogy mondjam: vannak köztük nagyon jók. Ha vidám tini vagy, akkor is találsz magadnak olyat, ami tetszhet, és ha nem vidám tini vagy, akkor is. Persze, ha nem tini vagy, akkor meg méginkább, bár ha savanyúuborka vagy, az esélyek némileg rosszabbak. :) Viccen kívül: nagyon sokat lehet tanulni ezekből a kis filmekből, hiszen azt a nyelvet beszélik benne, amit az angol ma, a 21-ik században használ. Nem mintha gond lenne a 200 évvel ezelőtti angollal, sőt. Klasszikusok ugye... olvasni is kell... persze az meg nem könnyű, de nagyon hasznos és szórakoztató. Because of the running Watchmen movie, we felt that this month’s comic article could be more up-to-date. There’s a new trend nowadays, with the recent evolution of the CGI it is now possible to make movie adaptations of comic bestsellers. Some of these movies are definetly not for children. There have been an evolution in the comic business too, and now there are as many „mature” comics as any other. These comics contain much more violance or more realistic heroes or have serious philosophycal depth. We can simply conclude that the comic business has matured. One of these mature comics is perhaps one of the best comics of all time, and it is a must for all comics fans. Some say that if you haven’t read a graphic novel before and you have to read one, then this should be the one. Personally, I can say similar things. Although I don’t think that it is the best comic available, but it is one of the best. I can compare its impact to the film Fight Club. Because of the strong symbolism, if you want to understand everything clearly, it is possible, that you need the comic more than once. It is also possible, moreover, there’s a great chance to discover something new during every re-read. It is a 12 part limited series. Alan Moore, who deserves an article here sooner or later, is one of the best writers in the business. If the director of the film is visonary, then Moore as a writer is at least prophetic. He used the story to deconstruct the superhero concept: it focuses on the development of the protagonists personality and on their struggles. Watchmen takes place in an alternate history, where superheroes emerged in the USA in the 1940s and 1960s. In this alternate history, with the help of the superheroes, the USA wins the Vietnam war and it’s on the edge of a nuclear war with the Soviet Union. Freelance masked adventurers are outlawed and most of the costumed superheroes are in retirement, but there are few, who work for the government. The story begins with the murder of such a government sponsored superhero and the investigation pulls many of them out from retirement. "I suppose I was just thinking, 'That'd be a good way to start a comic book: have a famous super-hero found dead.' As the mystery unraveled, we would be led deeper and deeper into the real heart of this super-hero's world, and show a reality that was very different to the general public image of the super-hero." Watchmen was designed to showcase the unique abilities of the comics medium and to highlight its particular strengths. 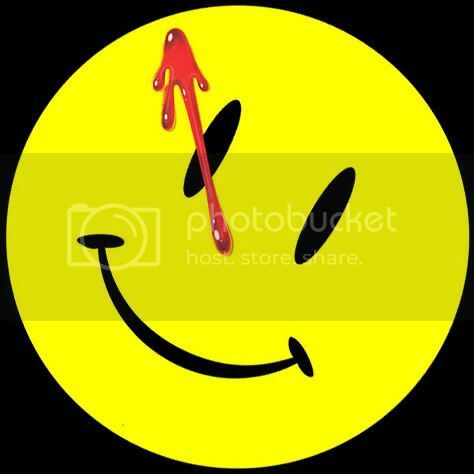 Moore said that Watchmen was designed to be read "four or five times," with some links and allusions only becoming apparent to the reader after several readings. Gibbons said he deliberately constructed the visual look of Watchmen so that each page would be identifiable as part of that particular series and "not some other comic book". The artist tried to draw the series with "a particular weight of line, using a hard, stiff pen that didn't have much modulation in terms of thick and thin" which he hoped "would differentiate it from the usual lush, fluid kind of comic book line". Gibbons described the series as "a comic about comics". We have "tested" the film with Rendszermumus, I read Watchmen before, he didn’t. It is one of the better adaptations, but it’s impossible to film the Watchmen, so there are slight modifications. We can conclude that it follows the comics as nearly as possible. Moore however does not like the idea to make films from his comics. As a comic, Watchmen is 10/10, as a film, it’s 10/8. It is worth seeing it, and it is worth reading it. William Henry "Bill" Gates III is an American business magnate, philanthropist, author, and chairman of Microsoft, the software company he founded with Paul Allen. He is ranked consistently one of the world's wealthiest people and the wealthiest overall as of March 2009. Gates is one of the best-known entrepreneurs of the personal computer revolution. Although he is admired by many, a large number of industry insiders criticize his business tactics, which they consider anti-competitive, an opinion which has in some cases been upheld by the courts. Bill Gates stepped down as chief executive officer of Microsoft in January, 2000. He remained as chairman and created the position of chief software architect. Gates's last full-time day at Microsoft was June 27, 2008. He remains at Microsoft as non-executive chairman. From Microsoft's founding in 1975 until 2006, Gates had primary responsibility for the company's product strategy. He aggressively broadened the company's range of products, and wherever Microsoft achieved a dominant position he vigorously defended it. Microsoft launched its first retail version of Microsoft Windows on November 20, 1985, and in August, the company struck a deal with IBM to develop a separate operating system called OS/2. Time magazine named Gates one of the 100 people who most influenced the 20th century, as well as one of the 100 most influential people of 2004, 2005, and 2006. 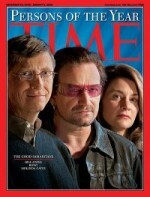 Time also collectively named Gates, his wife Melinda and alternative rock band U2's lead singer Bono as the 2005 Persons of the Year for their humanitarian efforts. Gates was number one on the "Forbes 400" list from 1993 through to 2007 and number one on Forbes list of "The World's Richest People" from 1995 to 2007 and 2009. In 1999, Gates's wealth briefly surpassed $101 billion, causing the media to call him a "centibillionaire". In November 2006, he and his wife were awarded the Order of the Aztec Eagle for their philanthropic work around the world in the areas of health and education. Formula One, abbreviated to F1, and currently officially referred as the FIA Formula One World Championship is the highest class of auto racing sanctioned by the Fédération Internationale de l'Automobile (FIA). The "formula" in the name refers to a set of rules to which all participants and cars must comply. The F1 season consists of a series of races, known as Grands Prix, held on purpose-built circuits, and to a lesser extent, former public roads and closed city streets. The results of each race are combined to determine two annual World Championships, one for the drivers and one for the constructors, with both drivers and constructor teams required to be holders of valid Super Licences, the highest class racing licence issued by the FIA. Formula One cars race at high speeds, up to 360 km/h . Modern Formula One cars are mid-engined open cockpit, open wheel single-seaters. The chassis is made largely of carbon fibre composites, rendering it light but extremely stiff and strong. The whole car, including engine, fluids and driver, weighs only 605 kg. The Formula One series has its roots in the European Grand Prix Motor Racing (q.v. for pre-1947 history) of the 1920s and 1930s. The first Formula One World Championship was won by Italian Giuseppe Farina in his Alfa Romeo in 1950, barely defeating his Argentine teammate Juan Manuel Fangio. Beginning in the 1970s, Bernie Ecclestone rearranged the management of Formula One's commercial rights; he is widely credited with transforming the sport into the billion-dollar business it is today. Michael Schumacher and Ferrari won an unprecedented five consecutive drivers’ championships and six consecutive constructors’ championships between 1999 and 2004. Schumacher set many new records, including those for Grand Prix wins (91), wins in a season (13 of 18), and most drivers' championships. In the interest of making the sport truer to its role as a World Championship, FOM president Bernie Ecclestone has initiated and organised a number of Grands Prix in new countries and continues to discuss new future races. The sport's rapid expansion into new areas of the globe also leaves some question as to which races will be cut. Az Angoljegyzet Monthly ingyenes kiadvány az Angoljegyzet.hu tulajdona. Minden jog fenntartva © 2008-09!